This course will take approximately 8 weeks to complete. Each of the videos included are short (under 5 minutes in most cases, except the yoga classes). The recaps are designed to reinforce your learning from each selected video. The homework and reading assignments are an integral part of the course and you will be expected to post your answers to homework questions each week in the online forum. We encourage you to discuss your learning and reflections with others taking the course in this format as well. Each Module includes a short quiz you will need to complete. If you have watched all the videos, reviewed the slides, and completed the reading you will have no difficulty with the quizzes. If at any time during the course you have questions we encourage you to post them in the online forum as well as email us. The goal of this training is to build capacity for yoga in service settings. We are here to support you as you work your way through the course. You will be asked to arrange a time to speak with our facilitator in week 4 and week 8 after completing your final assignment. These meetings are intended to provide you with an opportunity to ask questions and receive feedback. Typically we use google chat for these which is free, it can also be Skype or FaceTime.  The materials contained within the course remain the property of Yoga Outreach unless otherwise stated. They may not be reproduced, used, or distributed.